Here, Gardner Campbell, a national and international leader in the field of education transformation, champion of connected learning, and an associate professor of English at Virginia Commonwealth University, tells CT that faculty development programs, even when they focus on operational, procedural, or technical details, can and should reflect higher education's fundamental values and principles, provide time and space for insight, and encourage deep thinking about higher purposes. Mary Grush: Should faculty development programs go beyond technical training in specific operational policies and procedures, also to consider the underlying fundamental values of higher education? Gardner Campbell: Operational policies and procedures are always very important concerns for the institution, but they are not supposed to exist for their own sake — they are the means toward an end. We should ask: What are the fundamental values and principles that should inform the way we think about our policies, procedures, and the new IT strategies we are buying and deploying? Higher education institutions are very complex organizations, and it's easy to load up your plate with operational details. But in faculty development programs, we don't want to end up with a situation where we are not deeply reflective about what we want to accomplish with what we are doing. Colleges and universities typically have very idealistic mission statements. They may include goals like preparing students for a lifetime of fulfilling work, learning, and civic participation. They may delineate the institution's role in expanding the frontiers of human knowledge. 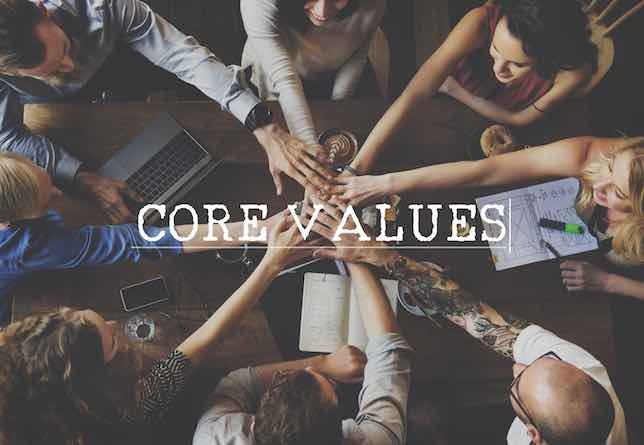 Within faculty development efforts, we need to be able to think about the values and principles that we put in these outward facing documents and to consider whether what we are doing operationally actually aligns with them. What are the fundamental values and principles that should inform the way we think about our policies, procedures, and the new IT strategies we are buying and deploying? Faculty are by nature drawn to thinking about big ideas. Faculty development programs can use this to jumpstart deep thinking about our roles and the higher purposes in everything we do. Grush: You've spoken, in keynotes and other forums, about insight as a higher purpose in teaching and learning. What is insight in this context and why should it be considered in faculty development programs? Campbell: At its core, insight is about making connections: between concepts, between facts, between actions, and so on. Neuroscientists who study insight tell us that the moment of insight can be detected scientifically, as a burst of energy in the brain that results from that moment of connection. Now of course insights must be considered and discussed. Connections are not always strong, or persuasive, or helpful, or even true. But that fundamental act of connecting, and the strong surge of energy that results, is essential to learning. It's the "a ha!" moment of understanding, which Jerome Bruner defines as "going beyond the information given." I strongly believe that education fails when it does not provide space and opportunity for these acts of connecting — these insights — to occur. In The Relevance of Education, Bruner writes about a pattern game he used to help students understand parts of speech. The game requires that students discover the pattern for themselves, which means it also requires that teachers wait for students to discover the pattern for themselves. Otherwise, Bruner writes, the students "will become obedient and non-comprehending". That space of waiting and the art of encouraging students to look closely and consider what they are seeing work together to foster insight instead of mere obedience. Unfortunately, the current emphasis on education as "content delivery" that must happen "efficiently" (and thus in standardized and predictable ways) has undervalued or at times actively damaged the space and time insight requires if it is to emerge. Grush: Is assessment another factor that should be considered in this space? Campbell: Across the disciplines, we should ensure that assessment is not only quantitative but also qualitative. We should ensure that there are spaces available for unscripted, even unprompted reflection to take place, ideally within a connectable platform such as a blog. Different disciplines will have different tasks for learners, and there will always be the need for a diversity of approaches across disciplines as well as across learners themselves. But without the space I'm describing, and modes of assessment that reflect and help us understand the value of these spaces, the intensely personal element of learning cannot be expressed and the thrill of individual discovery will be reserved only for the hardiest and luckiest of learners while everyone else simply takes their content in and regurgitates it when it's time for the test. Grush: Do faculty benefit by considering higher values alongside operational and technical details in faculty development programs? Campbell: In short, yes. Given the chance, faculty do benefit from opportunities to consider what we mean by learning and education, to review approaches to curriculum along a wide range of possibilities, and to reflect on their own experience as learners and teachers. But much faculty development is devoted to specific operational concerns such as classroom management, syllabus preparation, and institutional policies and procedures ranging from how to put a book on reserve in the library to how to assemble a portfolio when one is a candidate for tenure and promotion. These are, of course, vital and important things to know. That said, I have to add: It is rare that faculty have the opportunity or encouragement to consider larger questions about the nature and purpose of the work they do. Sadly, it is also very rare for faculty to learn about, and enjoy as colleagues, the intellectual work their colleagues are doing in different disciplines. Grush: Do you have a concrete example of faculty exploring the purpose of the work they do? Campbell: There are many examples. You actually covered one of the most dramatic in a previous article. The Great VCU Bike Race Book brought the entire campus together in an interesting project for teaching and learning — and, as it happens, for teaching and learning technologies, too. As you may recall, instead of simply cancelling classes during the week of an international bicycle race whose path would disrupt normal campus traffic patterns, we used the opportunity to create short courses in that space, courses with substantial online components that would present students' learning and accomplishments during these courses. The day before we launched those one-credit, one-week courses, I sat in a room and listened to 25 colleagues share with each other the courses they had designed, courses ranging from marketing to gender studies to journalism to physics. That was a space for development and insight! And that space was reflected online in the WordPress-based course site for each of these learning experiences. Now, there had been a great deal of time and energy devoted to getting us to that moment, including some intensive conceptual and technological designs that involved trust and a willingness to dwell in some uncomfortable uncertainties and messy planning. But the results were hard to argue with, on both the faculty and student sides. Just about everyone emerged from the experience reinvigorated and inspired. More than one colleague said they'd had their faith in the purpose of higher education restored as a result of that experience. I think that kind of restoration and rejuvenation must have a place in faculty development — a central place — or we risk losing the very core of our shared purpose. Grush: That is a dramatic example. But faculty have a lot to do… and faculty development programs, particularity those that support new IT technologies, can tend to get very focused on specific technical details. How do you bring a sense of purpose similar to what you experienced in the bike race example, into the majority of faculty development efforts? Campbell: By not promoting fractured programs! I always told the staff in the Academic Learning Transformation Laboratory (ALT Lab) that my goal was to have every conversation or workshop or program related to pedagogical development include a rich exploration of computers and networks, and vice-versa. All too often, centers supporting teaching and learning fracture into two camps: those supporting pedagogy, and those supporting so-called academic technology, an area that can range from the campus course management system to lecture capture technology to personal computer replacement cycles. Over the years, as these "academic technologies" have developed, we appear to have lost the ability to understand technologies as expressions of ideas, principles, and values. For that matter, we seem to have lost our ability to understand the structures and business practices of higher education as expressions of ideas, principles, and values, too. As you say, faculty have a lot to do, and unfortunately one of the things we do is to accept very mixed or contradictory messages about how we should order our priorities. The present digital age is one in which the need to engage with big questions about philosophies of learning and communication is more important than ever. Still, at their best, centers for teaching and learning can offer faculty a space to develop more robust areas of insight for their own practice as professors in this digital age. The present digital age is one in which the need to engage with big questions about philosophies of learning and communication is more important than ever. Beyond education, no other sector of society will encourage that kind of engagement, because to do so doesn't make sense if the goal is profit or immediate impact. But without that kind of engagement, we risk gaining the world and losing our souls. Grush: In your comments about The Great VCU Bike Race Book, you spoke about providing students with space for gaining insight, and how making connections was at the heart of that process. I know faculty must have gained insights from that project as well. Do you have another striking example of an opportunity for faculty to gain insight into their teaching and learning? Campbell: I think it's very important for faculty to be in networks with each other, and I don't mean just the kind of "networking opportunities" that a faculty club or conferences represent, important though these are. I mean that faculty should be engaged in connected learning from and with each other, in an openly networked environment that is public-facing, multi-media friendly, and richly hyperlinked. For example, as part of the AAC&U Faculty Collaboratives program with administration by the State Council of Higher Education in Virginia, I recently helped to lead two iterations of a connectivist MOOC: "Open Learning '17" and "Open Learning '18". These learning experiences were designed to foster connected learning, the interest-driven and openly networked kind of learning pioneered by Dr. Mimi Ito as part of the MacArthur Digital Media and Learning initiative. Because faculty are so busy, we emphasized asynchronous activities such as blogging and tweeting, while also making synchronous activities such as Google Hangouts and Twitter chats available as persistent resources after the events were over. The whole idea was to create a rich environment not only of resources but also of connections and even more importantly, connectability. We adopted the mantra of "the network is the deliverable". Some of our participants were almost completely new to the idea of networked learning. One in particular described her journey as "from novice to node," recognizing that what she had learned was how to be an effective node within a network, receiving and creating and sharing knowledge and practices across time and space with colleagues across the U.S. and as far away as Cairo, Egypt. You can read her story online. And for a look at the networked development environment itself, visit our "innovation hub". We hope to run another iteration of this learning experience in the spring of 2019, with our novice-to-node 2017 participant, Sue Erickson, as director. As we've noted, insight is the act and practice of making connections. And insight isn't limited to the generation of concepts or abstractions. The act and practice of insight can also strengthen powers of judgment and help individuals make better decisions with a fuller awareness of the principles and values that inform those decisions. Grush: You've shown us that faculty development programs may reflect an awareness of core values — not just the immediate need for a bit of technical knowledge. They can give faculty the space for insight and ample time for the consideration of higher purposes. Can faculty development be "purposeful"? Campbell: I think it must be. Amidst the many purposes it serves, faculty development must remain mindful of the meaning of "professor": one who values, and by example celebrates, a profession built on intense study, thoughtfulness, and insight.